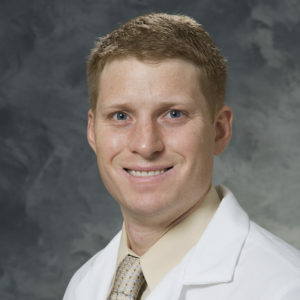 Dr. Zachary Morris, assistant professor in the University of Wisconsin Department of Human Oncology, Dr. Jamey Weichert, associate professor in the Department of Radiology, and their team of collaborators have earned a five-year, $2.5 million National Institutes of Health Cancer Moonshot grant for research aimed at improving cancer immunotherapy. They are developing a new approach to immunotherapy that uses a novel form of molecular targeted radionuclide therapy (MTRT) to enhance the effectiveness of immune checkpoint inhibitors to treat metastatic cancer. Cancer cells are deceptive. The immune system is capable of killing them. But many cancer cells avoid destruction by displaying checkpoint proteins on their surface that inactivate immune cells. Immune checkpoint inhibitors target this mechanism to help restore immune cells’ ability to recognize and kill cancer cells. Immune checkpoint inhibitors are effective for some patients with immunologically “hot” tumors—those with many mutations and infiltrating T cells. Other immunologically “cold” tumors can continue to evade the immune system and proliferate. One way to improve the effectiveness of immune checkpoint inhibitors may be to combine them with radiation therapy. In preclinical studies, Morris and others have been able to successfully treat some mice with metastatic disease by delivering immune checkpoint inhibitors and radiation to a single tumor site. In this setting, radiation creates an in situ vaccination, a treatment that converts a patient’s tumor into a focus for improved immune recognition of cancer cells. Thus far, clinical studies of this combined treatment have not demonstrated response rates greater than immune checkpoint inhibitors alone. Morris and Dr. Paul Sondel, UW professor of human oncology and pediatrics, have been working together with their labs to develop new approaches to improve the in situ vaccine effect of local radiation therapy by injecting the irradiated tumor site with additional specific immunotherapies. “With these combined local treatments, we were seeing the desired in situ vaccine effect in some models. But in harder-to-treat models and in mice with multiple established tumors, we were not seeing complete eradication of all tumor sites,” Morris says. This may be due to well-established tumor microenvironments in distant tumors that house suppressive immune cells and tumor cells that are poorly susceptible to immune response, Morris says. In other preclinical studies using mouse models, Morris, Weichert and their research teams have shown that low-dose radiation, if delivered to all disease sites, alters the tumor microenvironment at each site and enables a combination immunotherapy approach to destroy tumors throughout the body. But it isn’t always possible to deliver external beam radiation to all tumors when the cancer has spread to many sites. That is where this grant comes in. The MTRT, which was developed by Weichert, is administered intravenously and selectively taken up by tumors to deliver a low dose of radiation to all tumors. Rather than killing the cancer cells, this low dose of radiation temporarily eradicates suppressive lymphocytes in the irradiated sites. This can help restore the immune system’s ability to recognize and kill cancer cells. The radiation also increases the susceptibility of tumor cells to the immune response by causing double-strand DNA breaks that lead to the release of double-strand DNA in the cytoplasm of the tumor cells. This mimics infection by a DNA virus and tricks the tumor cells into activating viral response pathways that make them more easily recognized and killed by the immune system. 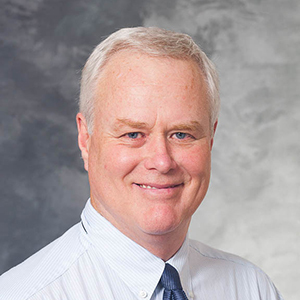 Morris and his colleagues will test the capacity of MTRT to enhance the response to immune checkpoint inhibitors in mice with melanoma, head and neck squamous cell carcinoma or soft tissue sarcoma. This research will also include a clinical trial of this therapy for companion dogs that have developed metastatic melanoma. The clinical trial, led by Dr. David Vail, professor in the Department of Medical Sciences at the UW School of Veterinary Medicine, will offer dog owners the opportunity to have their dogs treated with this next-generation approach to cancer immunotherapy. It could uncover an effective treatment for cancer in dogs. It will also be a critically important step toward the eventual goal of bringing this therapy to human cancer patients. Morris expects the results of this grant to lead to clinical trials of these regimens in patients with various types of metastatic cancer.